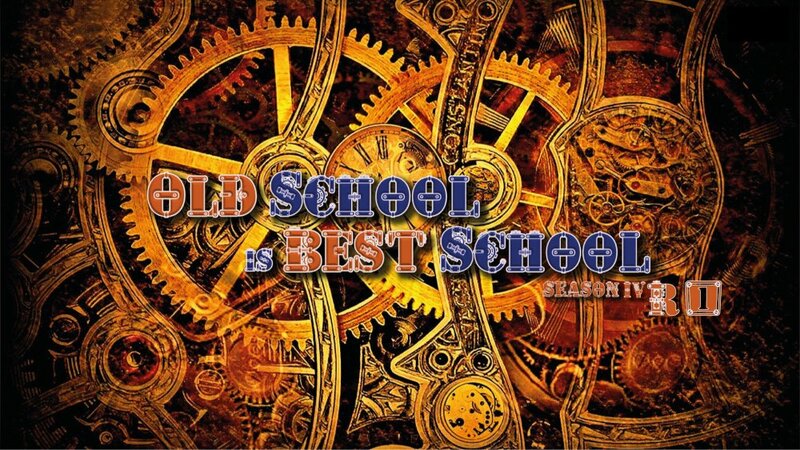 Old School is Best School Season 4 Round 1 is closed since 15 March 2018. ... and a better description about limitations (regarding cpu's to be used). I can not save validation file (it also fills the system by default) with versions 1.83, 1.82, 1.81, 1.80 and 1.74 of cpuz with OS win XP (3 different versions) and win 2000 (2 different versions). With version 1.57 it saves correctly but clearly can not be validated. Just came here to say I'm hoping this round is a succcess Although I don't have the hardware to compete I think OSIBS is a really great concept. all of BOT is all over the place like a dogs breakfast, do NOT expect anything to be right until its fixed properly, and then there will still be bugs in it to eliminiante, as far as im concerned all competitions should be put on suspension, explained the rules of hich and what they are, wallpapers, everything done right for once, until it is fixed properly, way less hassle for all concerned, how the hell can you expect to run a competiton/s when BOT itself isnt even running properly, or is that just too much common sense ?? ?, im not trying to have a go boys but this is bloody ridiculous, all youre doing is creating more dramas for yourselves and everyone else with it !!!! I agree with you but we try to help moderators as we can. We know that the organization of the cup is really bad (lack of background, wrong description or conflicting rules, etc.). But if we do as @TASOS did (remember the limitations in the thread) I think it goes on and improves. I do not think moderators do not want to improve things, but if we help, we certainly do first and foremost. There is a banner on the main competition page with a cassette radio I thought that would of been the background. I am not sure if i remember correctly at the moment ... but we had some special cpu-z version for old systems. Anybody tried with that ? Some sources say AMD k6 model 6 is 0.30Âµm other say 0.35Âµm. Do you guys agree that photo verification of the CPU together with the used motherboard is mandatory? I like the idea of Photo verification. The K6's I have got are these CPU world says they are both .35um. Validation seems like the biggest problem at the moment because CPUz wont validate with them we cant submit it. It's horrible. Make normal wallpaper and not those that are made in Word With a cassette tape recorder is much better Some problems at the start, why did not anyone check everything in advance? I configured the restrictions now. Had to re-organize some of the K6 and Pentium categories to reflect the 350nm restriction. For this round allowed mobile CPU? On Gigabyte GA-5AA i can save validation file with all vertions. With previous motherboard Soltek With Via MVP3 chipset i can save only with 1.57 version. Anymore cheked version 1.78 for win 98? .... Some problems at the start, why did not anyone check everything in advance? The validation "problem" is my fault. Checked but not work with soltek MVP3 board. tomorrow i can chek vertion for windows 98. Tomorrow I try to install AIDA and Sisoft Sandra to see if they give us the most complete information even at the motherboard and ram level. If we find the safe and reliable way it would also be useful for the next competitions. In any case, the photo is mandatory. Sorry. but not working link. I'm with you on this one max !!! I did propose for a live wallpaper for this OSIBS ... but they didnt listen. Maybe if we can gather some votes , we can still make it happen. so whats the background please , this or this ? ?, not confusing ?? Good that you asked. I accidentally allowed it too. Should be fixed now. Anyone still seeing something wrong? Guys make up your mind, in the general rules it says verification screenshot and pictures are required for each stage. I have to moderate this compo, if I apply the gen rules it will be no screenshot = no glory ? My opinion on verification for this round. Photo of the system (motherboard used). Close photo of the cpu used , with all markings visible. Screenshot with wallpaper including all possible cpuid software (cpuz , aida , crystal cpuid or whatever). It looks like the bugs on socket 7 with CPU-Z have never been fixed. Its totally broken on VIA systems and only half working with aladdin boards. The issue is that a specific CPU-Z version enabled detecting FSB clock on those systems. But everytime it just shows 100Mhz, despite that the actual speed is different. Therefore are most of those validations wrong. I guess we have some wrong CPU-Z results in the db. You could try to make your verification with DMI=0 in the CPU-Z ini, which should fix the bug. But Im not sure if you still can validate your result. But I guess its the only chance we have. Either this works or any stage involving CPU-z will be pretty pointless. get bot working right then worry about competitions, pretty simple really !!!! Please attach this wallpaper link to the competition page. Wow, we OCers really are a privileged bunch. Out of all the things you could complain about you choose this? If so it will be more beautiful Wallpaper ? that'll do for each round. Can anyone have the Wallpaper without the text (Old School is Best School Season) I have the font this is to write the new not to differ in effects. Nice work Alex. Quote this wallpaper. For me R1 you have to put in the corner. I want the Wallpaper without the font. to put the text in their place so as not to differ letters effects that apply the one who did the first Wallpaper. The entire the text a new. I'm in my last big picture, the letters were not aligned well. If you decide to use these then I'll adjust to it pretty. final / If will go will make with the second round and so on. honestly guys, its a wallpaper, as long as its a wallpaper for the comp and everyone has it so all sub are legal...does it really matter that much !!! the rule that the frequency on the screen can be lower than the validate is valid? I can not make the screen with 372mhz on SS. What rev' do you have ? I made the change to the card in order to adjust the voltage Vccio. For high fsb 135 or 140 mhz these cards need high Vccio, 3.8V in my case to make windows boot at 140 mhz. The problem however is the cache that normally takes 115-125 mhz and only in rare cases more. Without cache, however, the result super pi 1m is bad. You are both willing to take a risk , on a board you cant easily replace ??? I can not do any validation on OCESPORT. I have a Pentium MMX 200Mhz processor overclocked to 297 Mhz. When I want to save my result, it always appears: "your submission is incoplete" ("Only use processors from the sub family"). But if I do the validation directly on HWBOT, it's OK (http://hwbot.org/submission/3797837_). I do not know how to solve this problem. Any error on OCESPORT? @TASOS Please enter the complete cup round list which was probably lost in the old forum. Thanks. Its on this page Griff. So there are results which state dmi set to 0 but show 5x multiplicator plus fsb and valid? Are there magicians here? Any thoughts on this? Well thats simple DMI=1 I had to rerun mine because I forgot to set it. You know what to do Michael they cant plead ignorance its in the limitations on the competition page. I think he meant that he had to unset it because he couldnt get a verification else way. If DMI would be off, CPU-Z wouldnt read the chipset Registers (which it reads currently wrong) thus showing FSB frequency. Its very likely bugged anyway, Multi is very high. From my tests DMI = 0 allows me to save validated files and validate it online. With DMI = 1 it gives me a freeze launched cpu-z. As for the photos of cpu and motherboards I would say this: if the cup from the beginning was well organized would be eliminated but with the poor initial organization I would say to take with the pliers this rule only for this round, I hope. So practically we can guess or throw a dice if a result is valid or not? I removed a 1m because the screen was missing and nothing else, happy discussion about the results and you better pick someone for next round who moderates this, bc I have big doubts Albrecht will do it and I am out. It's a shame that even when you spend a lot of time and energy to try to cheat proof a comp people continue to find ways. Why not apply that energy to just pushing your hardware legit. For me in this cup there are no people who cheat. there are no prizes or middle money. and thank goodness we know each other now. I also don't think that someone is intentionally cheating. Yet the problem is that CPU-Z bug. Actually you don't even think about there could be something wrong. I added the photo verification rule very early. Afaik there was only one participating at that time and that was GRIFF. His Submissions are correct, so actually everyone's else submissions should be correct too. Submissions without DMI off will be blocked. Those simply can't be trusted. And moderation team will not have the time to decide on every single submission if it is legit or not. Hardware categories will get cleaned from bugged results once new CPU-Z is out. I'm in contact with Franck Delattre and he already has a fix. Unfortunately it comes too late for us. Photo verification is a reasonable thing for those old hardware. I actually wanted a shot showing the markings of the CPU together with the motherboard. Unfortunately there were again some subs who didn't follow this rule. I handle this gracefully. But subs not showing any detailed CPU picture will also get removed from the comp. The next time Socket 7 is used though no CPU frequencies its just too much drama with the validation benchmarks like SPI, Wprime and say Cine 2003 would be better. For this round , the percentage % stage , went wrong , cause of the cpu-z bug , especially on non-Ali chipset boards. The good thing , is that Strunkenbold's move , contacting Franck Delattre about it , will provide us a better cpu-z for future use. I thank them both (Gregor and Frank). Personally i feel sad about making a bad choice for this stage ... my goal was to have fun and not cause trouble to participants and moderating team also. Although i dont think anyone had the intention to cheat in this round. I would have expected more of a cpu variety (regarding AMD K6's) in this round , but it seems that most of us played safe with Intel MMX , instead of experimenting with the AMD's. Perhaps this round needed some more time ... cause of the general situation of Hwbot , the past weeks. I am also sad , because my GA-5AX went bad during testing ... and now i have to try and fix it (if it's possible) or replace it (even harder). My other board , a FIC , Via chipset , was constantly reporting 1X multi only (whatever Intel MMX cpu i used) and i chose not to present any scores , cause they looked weird. Congrats to all participants ... and see you all in next round !!! It doesnt really matter if you use a 200 or 233 MHz CPU for max OC. But it matters if you use a 166 or 233Mhz CPU for % OC. Therefore the requirement for the CPU picture verfication is higher. I had the Feeling that some of you didnt notice that Ali boards are affected too. Im sorry, but those get moderated too IF they are Max or procentual OC related. Im done moderating. Im sorry for everyone which result got removed. Please pay attention to the CPU picture rule next time. can you load pictures with vmod for this mobo (ga-5ax r4.1) pls? Which pin do you mean by Vsen ? Do you mean Ifb? I just checked my Pentium MMX 166Mhz today and the maximum multiplier I could get was 3,5x. Interesting, my 200Mhz MMX just had a maximum of 3,0x. I also tried to reproduce scores who claimed they had DMI disabled, yet CPU-Z still displayed FSB and Multiplier. At least on my Epox MVP3 and 66Mhz FSB, setting DMI=0 completely prevents the bad behavior. So I dont know what they did. The 166MMX has to be dated earlier than week 40 to be unlocked mine is week 28 I would guess an early 200MMX would be probably unlocked to 3.5 too. If I tried 4 x multi with the 166 it reverted to 133mhz. On the ALI chipset GA-5AA setting DMI=0 takes away bus speed, multi and bios info in mainboard tab I couldnt say with the other chipsets. I say next time socket 7 is involved just make it benchmarks SPI, Wprime, Cine 2003 or similar and not CPUz validations. Frequency validation is not really a benchmark anyway. Thanks testing this also on Ali. Just from reading different sources in the net it indicates that 3,5 is Max and only applies to early samples. I can not give a technical explaination but I do think it depends on the internal wiring of some pins of the CPU, thus setting a multi of 4 and up doesn't do any difference because it would need another pin which the MMX completely ignores. In the end it's just another proof that those CPUs cannot get fully unlocked and every result with high multi was CPU-Z bugged. I must ask you unfortunately from my side , why also my submission removed. The multi is correct (Cpu 233/66fsd=multi 3,5) , the photo is there, the fsb (83 speed) is the correct, the screenshot is there, everything visible and clear, so what is wrong? I could submit a score of 330 speed but i could not succeed to validate it (cpu-z validation reverted always with rejected), so i prefered to keep the validated lower score and now is blocked as a result? I really not get it. And I declare my result AS VALID! Because of the above mentioned CPU-Z bug all results displaying FSB and multi are potentially bugged. These runs where made with DMI=1. The rules of comp explicitly stated that DMI must be off. Your submission violated this rule thus was removed from the comp. We are in the bad position that we can't trust those specific CPU-Z submissions, even if the validator says it's valid. We have enough submissions in the database who proof that the validator verified even bugged results. Sadly this means I can't accept your result even if it may be completely valid and got verified. I told Franck about the problem of the verification. I hope he has a fix in some days ready. I agree that fsb 66 and multi 5 is clearly a bug. I noticed that bug during tests after fsb 83 ( fsb 95 & fsb 100) and thus I did not submited a higher bugged or a higher unvalidated speed close to 330-350 that I had because I do not like someone to remove my scores or accuse me for cheating. Fsb 83 is a piece of cake on this board even for an amateur. I will not debate / insist anymore on that. I give up! It 's not worth trying to prove that I am not an elephant. You are a straight shooter. It's not about believing someone or not. I also don't think that varachios sub is bugged or cheated. It's simply violating the rules. And I can't accept it because it's unfair for everyone who followed the comp rules while he did not. As I already mentioned, we'll clean the database from submissions with activated DMI once a CPU-Z release with the specific bug fix is out. That means that I won't do any testing here to reproduce a result. May it be bugged or not. I hope you all will understand that allowing sub XYZ while blocking sub ZXY will lead to a very complicated situation and in the end you still can't be sure if a sub is valid or not. That's the problem if you can't trust things because of a software bug. We faced the same situation for some benchmarks, like hwbot prime and in the end points got removed for everyone. A bit late but nevertheless. P55 core (classic Pentium MMX) has two multiplier pins BF 1:0. Two pins give us 4 combinations and they are 2x, 2.5x, 3x, 3.5x - 133MHz (not presented in desktop CPUs), 166MHz, 200MHz and 233MHz. So anything over 3.5x on P55 is software rubbish (Pentium Pro has the same problem, BTW and maybe Klamath). But the CPU frequency should be O.K. As for unlocked - Intel started fighting with overclocking and cut down higher multis on latter P55 and some P54C. I suppose it has been done by cutting (or not wiring) the package (plastic or ceramic) to the core. Early samples didn't have this making all multi available. CPU-Z 1.84 is out now for some days and I can confirm it fixes the bug showing wrong frequencies. It doesnt only affect Pentium Cores, in general all Socket 5 targeted CPUs only have 2 Pins thus anything over 3.5 is bugged.